For the best value, tickets should be purchased on this website, but also at Dublin Bus Head Office, 59 Upper O’Connell Street, Dublin 1, our Bus and Travel Information Desk, Arrivals Hall, Terminal 1, Dublin Airport, On-Board all Dublin Bus Tours, Your Hotel / Guesthouse – Ask the Front Office / Concierge for the DoDublin Tour Tickets. Airlink Express and Hop on Hop off tour tickets may be purchased directly on the bus with cash, Please note We do not accept credit card payment on the buses. Please have the correct fare as drivers may not be able to issue change. Ghostbus and Day tours tickets may also be purchased directly from the driver (with cash) but only if there is availability. 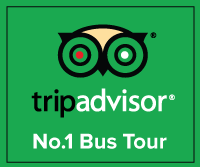 We encourage customers to book their place on these tours in advance. DoDublin Cards and Combo deals must be purchased online or from our Airport or City Centre desk. Visitor Leap Cards: Offers unlimited use on Airlink 747 and 757 routes. Visit the Leap Visitor Card website for more information and to buy. Leap Cards: Pre-purchase Airlink, Hop on hop off or DoDublin Cards online from leapcard.ie or use your Leap Card purse to buy Airlink or Hop on Hop off tickets directly on the bus. All DoDublin Tours start and finish at the Dublin Bus Head Office, 59 Upper O’Connell Street. The Hop-On Hop-Off Tour can be joined at any of the stops. Your tour guide will point out all of the sights and stops and give you instructions how and where to get on and off the bus. All tour stops are listed in the DoDublin brochure. The first City Tour starts at 09.00. Last bus times vary depending on the season. From October, last bus departs from Stop 1 on O'Connell Street at 17.00. 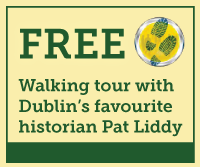 With every DoDublin Tour ticket, customers can avail of free entry into The Little Museum of Dublin, and a free walking tour by Pat Liddy Walking Tours. Special offers are available for Do Dublin customers in the Guinness Storehouse, Jameson Distillery Bow Street, Irish Whiskey Museum, Wax Museum, Teeling Whiskey Distillery, The Riddler Restaurant, Dublinia and the Celtic Whiskey Shop. 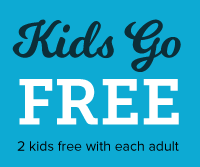 Two kids go free with every adult on the tour. Additional kids must buy a ticket. A kids ticket is for children aged 6 -14. No, children must be accompanied by at least one paying adult. All Hop-on Hop-off buses are wheelchair accessible, however there is a restriction of one wheelchair per bus. On the Day Tours all our buses are wheelchair accessible, however please note Malahide Castle is not accessible by wheelchair. We are able to take folding wheelchairs only on the GhostBus buses. We do ask that you are able to climb the stairs on and off the bus with the aid of your helper. Our Airlink service is an Express Service from Dublin Airport which will bring you direct to Dublin City Centre. We now operate two Airlink routes, the original 747 route which terminates at Heuston Rail Station, and the new 757 route which terminates at Camden (Charlotte Way and Harcourt Street). An Airlink departs every 10 minutes at Peak Times. A number of our regular commuter services also serve the city centre including the 41 and 16. We can send you a brochure by mail, or you can click here to download our brochure. If you would like a brochure mailed to you, please send us your address via mail, e-mail or phone to info@dodublin.ie or +353 1 844 4265. If you have any queries regarding your Do Dublin Booking, please contact us using any of the following methods. Writing: Do Dublin, Dublin Bus Head Office, 59 Upper O'Connell Street, Dublin 1. You can email us at info@dodublin.ie quoting your booking reference and the details regarding the changes you wish to make or alternatively by ringing us on 00353 1 844 4265. For details on cancelling your tour please view our cancellation policy. We will make every effort to get your lost property back to you. 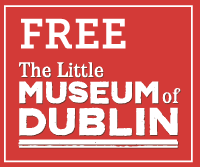 If you've lost an item on our tour please email info@dodublin.ie. If you hold a valid senior citizen identification card from your own country or are over the age of 65, you will qualify for the senior citizen rate. We have ten languages available on our multi-lingual tour. They are Irish, English, French, German, Spanish, Italian, Russian, Polish, Japanese and Chinese. Approximately every 30 minutes from 9.15am each morning..